Did the teams get animated? Find out what happened when team building met change management. Teamwork and co-operation are essential in business, travel broadens the mind, and work needs an element of fun to be enjoyable. These were the principles that first prompted X Marks The Spot to provide team building treasure hunts in Rome to companies who shared our philosophy. Fifteen years on those founding principles remain unchanged, our passion remains and today X Marks The Spot™ has an enviable reputation for devising and running a variety of imaginative, participative corporate treasure hunts in Rome and across the UK & Europe. From household names to small enterprise, from pharmaceutical to finance and from private to public sector, our Rome treasure hunts have helped a diverse range of companies to celebrate success, tackle organisational change, seek new business, develop staff, build teams, promote products and strengthen business relationships. Some of these companies are based in Rome or have branches there, others are visiting Rome because they have key suppliers or customers in the Italian capital or Italy and some simply choose Rome as somewhere suitable for a corporate event to involve and entertain staff, partners or clients. While the businesses may be diverse, and their reasons for being in Rome differ, what they have in common is that they value and invest in their own people, appreciate the worth of good relationships with customers and suppliers and understand the need to motivate and manage teams. Treasure hunts are a genuine team activity suitable for all ages, abilities and mobilities - making them one of the most inclusive team activities available. X Marks The Spot offer a choice of Rome treasure hunt depending on your needs and budget and the extent to which you might want the event customised based on where you'll be in Rome, the purpose of the event and how long you'd like the activity to last. This is a 'ready-made' self-run team event designed to meet the general needs of most independent groups seeking a treasure hunt in Rome. For corporate events in Rome the ReadyCityGo® treasure hunt is perhaps best as a social activity for colleagues, corporate entertainment or as a conference break-out or team building activity where you are prepared to fit the product to your needs. Our custom made treasure hunt is popular for corporate events in Rome because it recognises that individual business groups have individual needs. Every aspect of the event is designed to fit the profile of your group, your location in Rome, your timetable and your requirements - making it suitable for all imaginable corporate scenarios from team building to corporate entertainment and from free time at conferences to corporate hospitality. A MadeToMeasure® treasure hunt can take place anywhere and can be on foot or any mode of transport. Your team event can last as long as you want, start and end where you want and can be integrated into your timetable and other plans. The treasure hunt can have any format or theme and can be corporately branded with your logo for example. 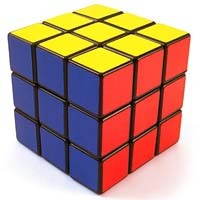 The clues are written for the group's needs, interests and abilities and can include a corporate angle if you wish. The type and range of clues will ensure no-one will feel left out. You have the choice to run the event yourself or you can leave it to X Marks The Spot to be in Rome to take care of everything from start to finish. Quite simply, Rome's most sought-after team event. A fun, unique, high-tech and highly-interactive team building challenge where teams must track and outsmart their rivals to win! 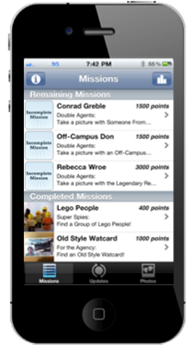 Teams use our clever app to access and complete a wide range of challenging missions. GPS, a live scoreboard and a real-time feed of opponents' answers allows each team to track where their rivals are, how they're doing and what they're doing - and then decide how they'll respond! It's the most radical change that treasure hunting has ever seen, pioneered by the experts at X Marks The Spot. Does your team have the creativity and tactical nous to win the day? Themed if required. Can be run with or without a facilitator present. Option to use own phones. Any number of phones per team. Our Rome treasure hunts are crafted with the help of local people who know Rome well and who make it their business to keep abreast of seasonal events and changes around the city. This ensures that all our Rome treasure hunts are always fresh, interesting and topical. Contact us using the simple enquiry form on this page to find out how we can help you with your corporate event in Rome. MadeToMeasure® is popular because it's flexible and it works. Any location. Self-run or Full service management. Need a business treasure hunt? Get one that's the business. The next generation of Treasure Hunt is here - on iPhone and Android. Ready-made or Bespoke.